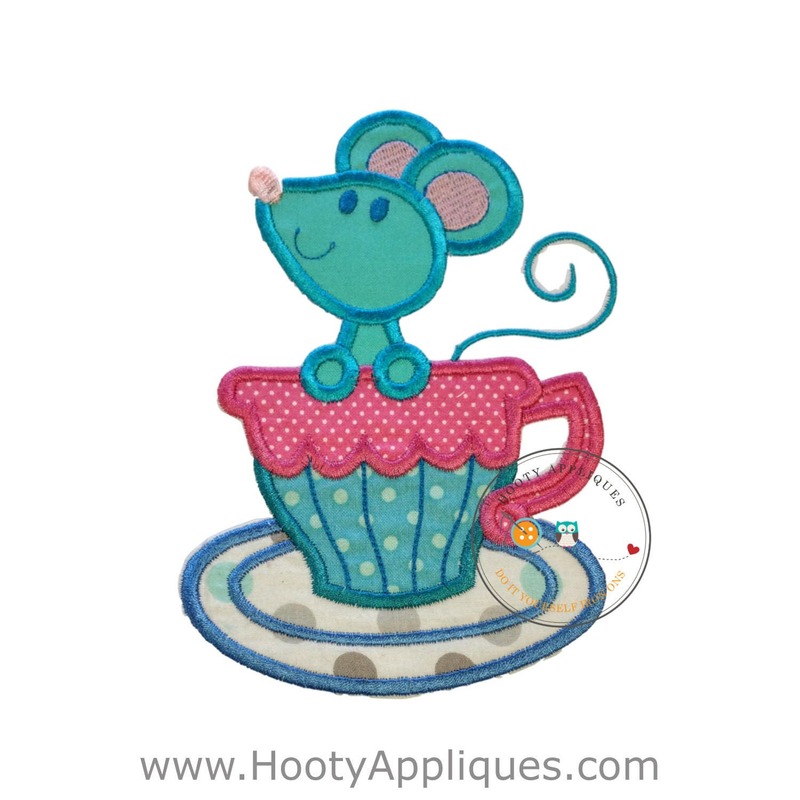 Large mouse tea cup applique is an iron on fabric applique with embroidered details. 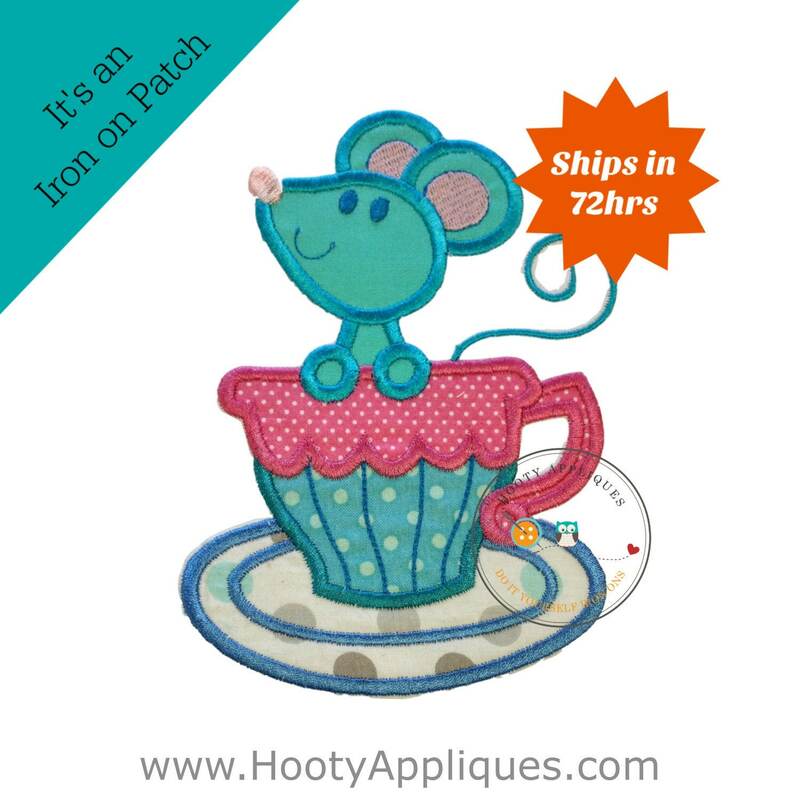 We are liquidating all our current stock, therefore, will no longer offer color changes or personalization. Patch will come as pictured.ses.